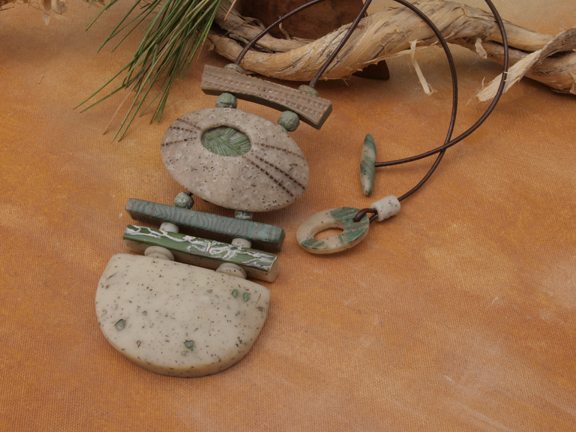 What starts out as a raw lump of polymer clay, in the hands of Terri Parson becomes wearable sculpture that looks deceptively like glass, stone, wood, metal, and bone. 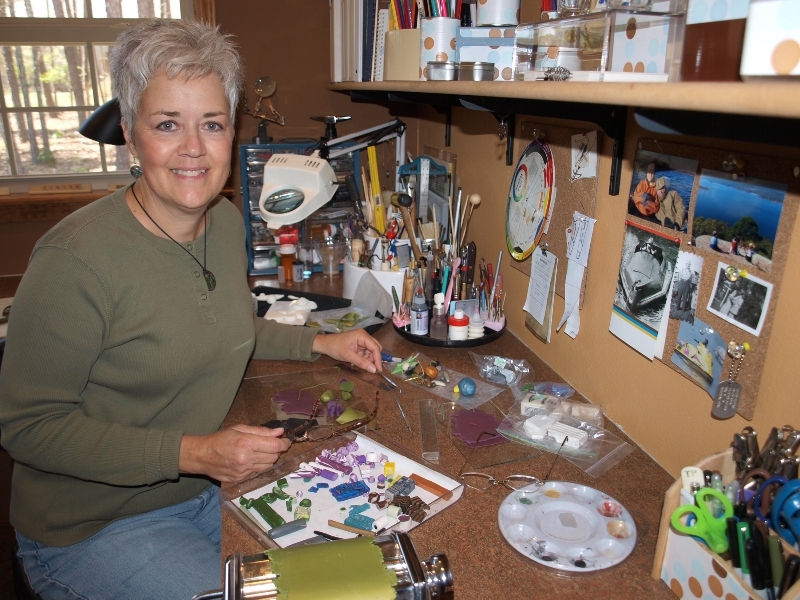 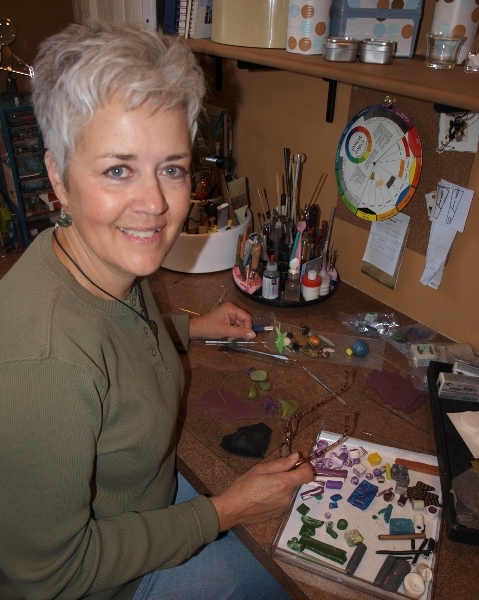 She mixes clay like paint, with color suspended in the clay – not painted on, and uses intricate textures and visual effects. 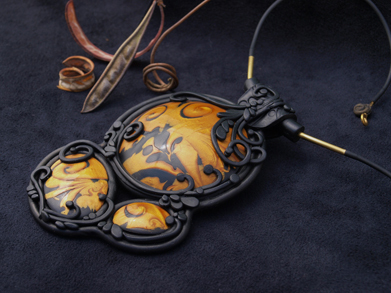 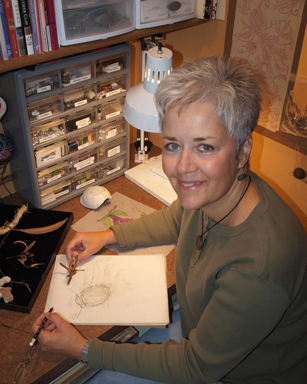 She borrows techniques from the ancient metalsmithing art called Mukume Kane, which creates a wood grain metal look, and adds metal inclusions or uses metallic clays to create dramatic depth. 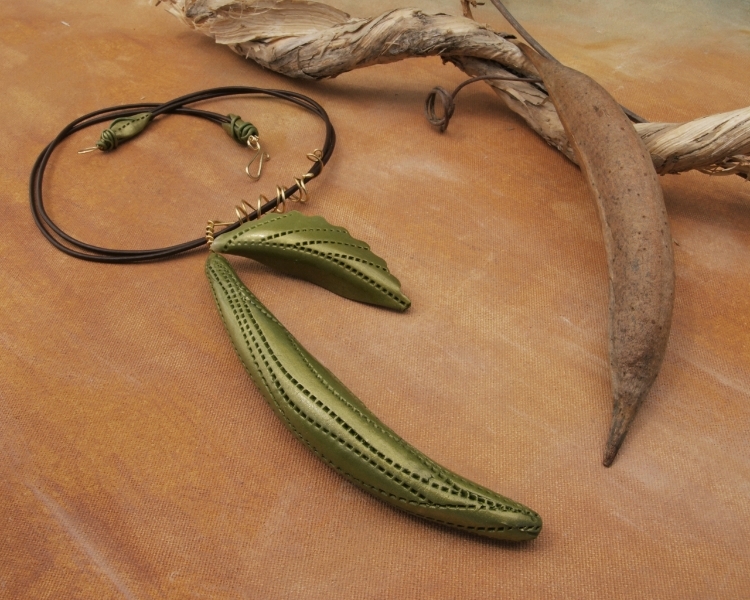 Individual components are meticulously hand-sanded and buffed then are combined using wire, cording, leather or fibers to maintain a very organic feel. 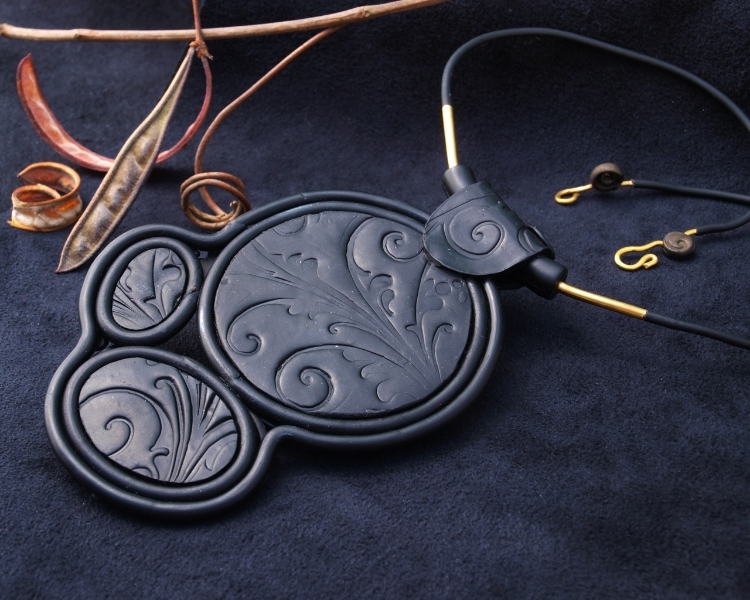 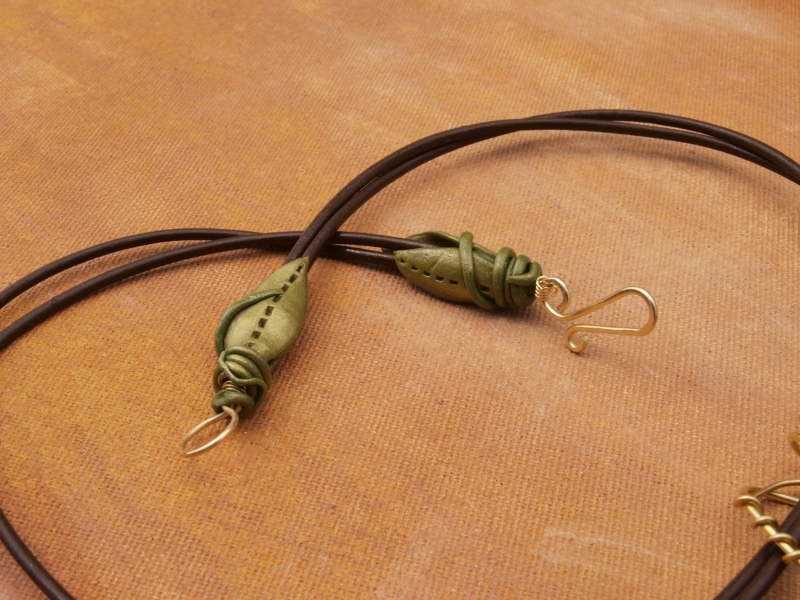 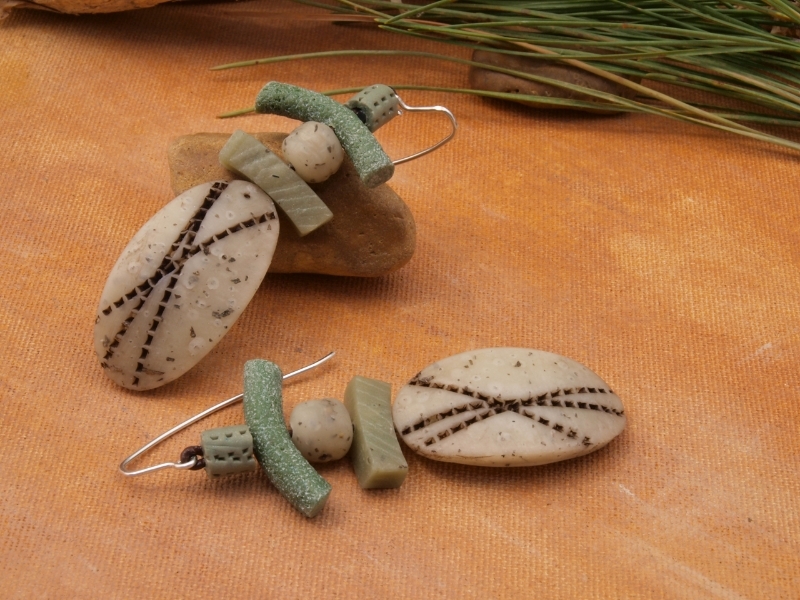 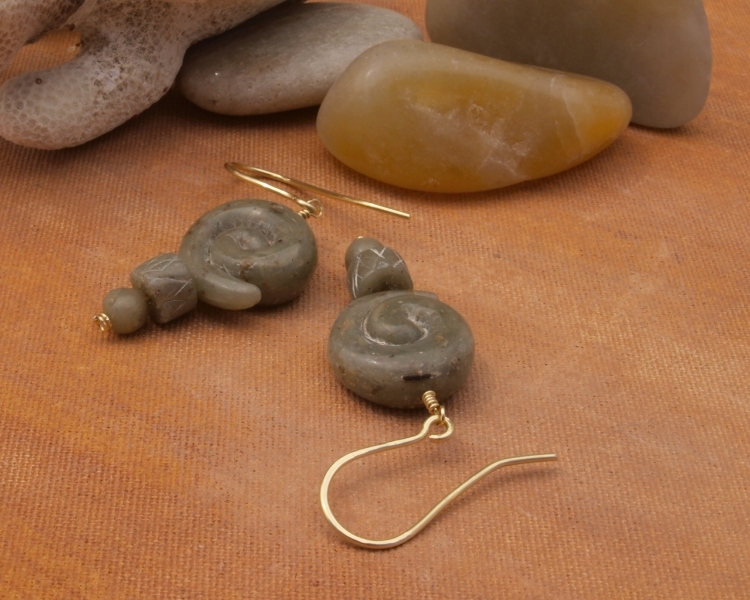 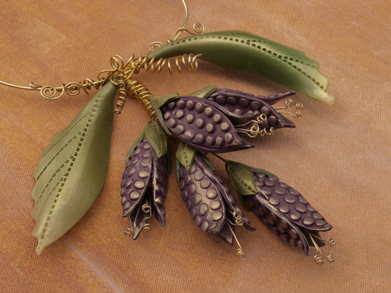 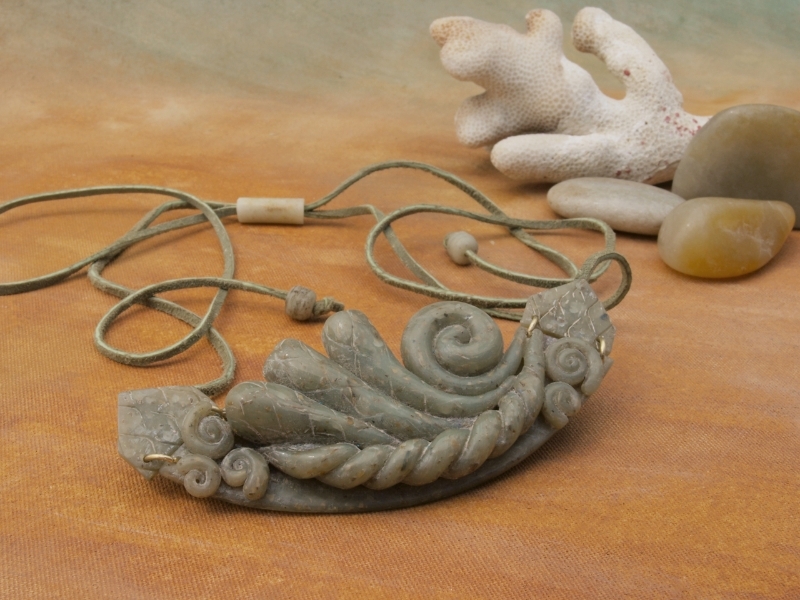 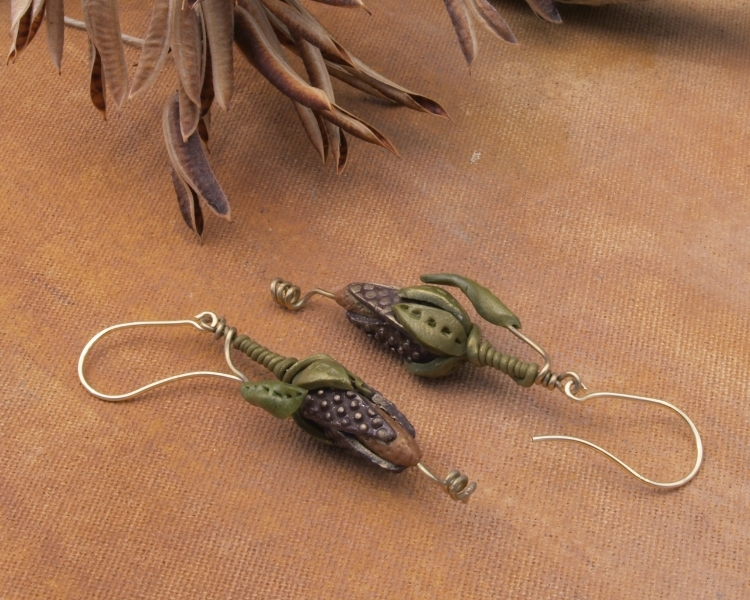 Findings and closures are hand-forged from wire or sculpted to complement the piece.